Studio-40 is a dynamic and rapidly growing Digital Marketing/SEO agency working with a whole host of successful clients within Leicester and the surrounding areas. We have clients from a variety of industries both nationwide and internationally but we haven’t forgot our East Midlands roots! 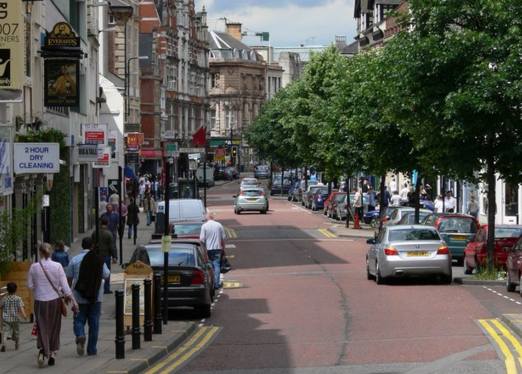 Being based in Loughborough within Leicestershire makes it incredibly easy for us to come down to your Leicester based business and get to know you on a personal level. We love to get out and meet our clients face to face as much as possible and the ease of access to Leicester means learning your business inside out is no problem at all. At Studio-40 we have experts in a selection of different digital marketing services allowing you as the client to choose the one that’s right for your business. Unsure on what service will best suit your company? Don’t worry. Below is a list of what we offer coupled with real world examples from clients based in Leicester. A Construction, forest, garden and landscaping equipment distributor based in East Gostcote , ‘Redband’, are one of the leading UK companies in their industry. They came to us to boost their organic visibility in Google through Search Engine Optimisation (SEO). Through various on-site SEO housekeeping tactics and off-site link acquisition, we have boosted their year-on-year traffic by over 90%. Pay per click (PPC) is an advertising model where an advertiser only ever pays when a user clicks on their ad. Setting up an account that is optimised towards your business’s desired target audience and one that runs efficiently takes skill and experience. 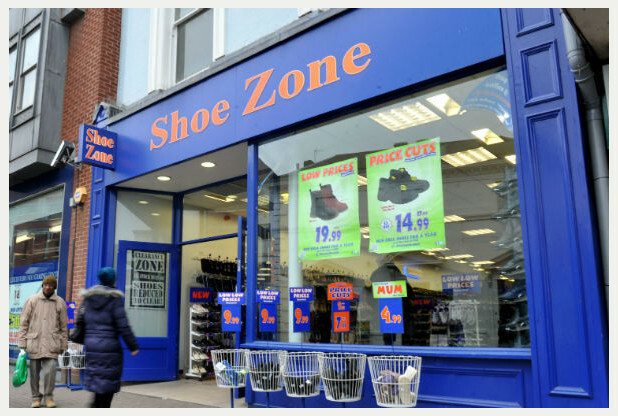 The UK’s leading affordable footwear retailers, Shoe Zone, have stores in Wigston, Beaumont Leys, Coalville, Hinckley and several in Leicester City Centre. They trusted Studio-40 to improve their paid search campaigns. Internet sales have gone up 30% year on year. We have been helping Europe’s largest high quality designer furniture store, Vertigo Interiors, with their Social Media Marketing dilemma. Based in Loughborough, the company had been struggling to make an impact on social platforms and asked us for help. Our experience with setting up social media platforms, growing an audience with organic and paid strategies and engaging them with relevant content and interaction has brought new followers and sales from across the globe. ‘Tech2o’, based in Leicestershire, provide innovative television solutions specialising in waterproof bathroom, mirror and weatherproof LCD televisions. For many suchlike ecommerce retailers, their audience will often browse their site a few times before purchasing, some never purchasing at all. A tailored and well structured remarketing campaign has helped show Tech2o’s ads to these red hot leads converting hundreds of people who may not have otherwise. Ross Handling from Thurmaston near Leicester City Centre stocks thousands of castors from trolley wheels and barrow wheels, to jacking castors and industrial castors. They need a proven Digital Strategy and SEO approach that would help them appear at the top of Google and other search engines for these key search terms. Since we designed them a custom strategy and helped to implement it, Ross Handling have seen improvements for 26 different keywords over the past year. 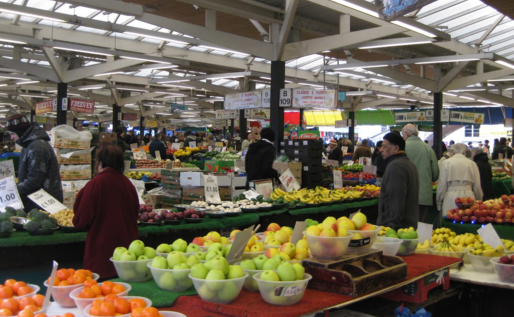 Leicester is a thriving multicultural city nestled in the heart of the UK with handy links to London as well as the North. Leicester has the largest economy in the East Midlands and you’re never more than a short train journey away from a major city. Ever heard of these? Here’s just a few of the big name companies that are based in the city: Next, Everards, Santander, Brantano Footwear, British Telecom, Caterpillar, Topps Tiles, DHL, Dunelm Mill, Jessops, Shoe Zone and British Gas. Not bad for a City that’s not even one of the top ten biggest populations in the UK. Take a look at our SEO Leicester services in more detail or get in touch now!